Forme are an established multi-discipline bicycle brand designed by riders, for riders to meet the UK's harsh multi-terrain conditions and unpredictable weather. Forme recognise what the British rider needs and this in turn is emulated in every design and carefully selected component. 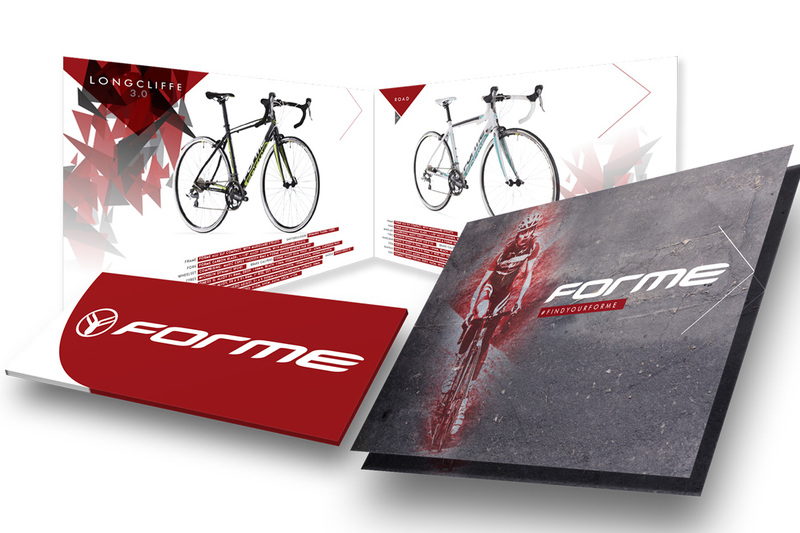 Forme’s attention to detail sets the brand apart from the competition and as such has to be reflected in its bike branding and it’s corporate brochure design and collateral. The threeguru studios first creative task was to deliver a range of cutting edge bike frame decal designs spanning Forme’s mountain, multi route, hybrid and urban categories. With no pun intended, the selected designs formed part of a 76 printed page Corporate Brochure Design that reflected the edgy, urban style of the brand, whilst delivering a clean inner page layout that champions the product, highlights the specification, and communicates all of their attributes.